The "Whiteout" happened to a modest degree, but it didn't turn into a victory for Portland State Wednesday night at the Stott Center. 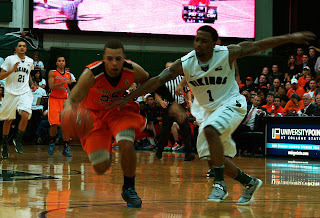 An inspired opening 10 minutes had earned the Vikings a 22-13 lead in a rare home game with a major college team, but the Beavers ramped up their defense and got some energy from a technical foul on their way to a 79-74 win in a non-conference men's basketball game. Devon Collier scored 23 points, 'Burly' Joe Burton bruised the Vikings for 20 points and seven rebounds and coach Craig Robinson earned his 100th career victory at the school. "We needed a true away game where we were going to be tested," Robinson said after his team improved to 6-2 on the season. "It's nice to win this game." 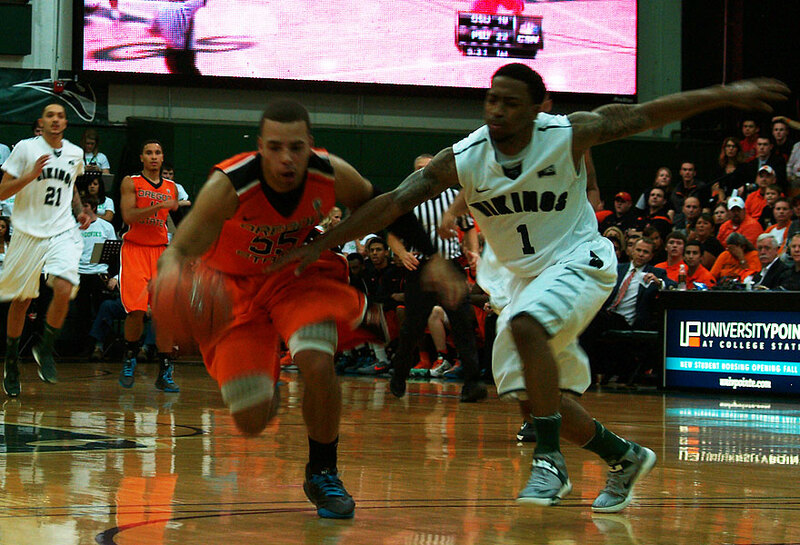 PSU got eight points early from Lateef McMullen on the way to a team-high 16, but the Viks had 19 turnovers and got outscored by 12 at the free-throw line before a crowd of 1,500 - a good chunk of which was wearing orange for the Beavers. The Vikings dropped to 1-5 on the season. Oregon State fell behind early, but ramped up its defensive presence around the 1-3-1 set once the deficit grew to nine. And, Robinson, sparked by a non-call, got a technical that seemed to inspire the team, especially when the Vikings' shooter Michael Harthun missed both free throws. By the close of the half, the Beavers led 32-26 and built that lead to 14 before the Vikings produced a mild comeback.